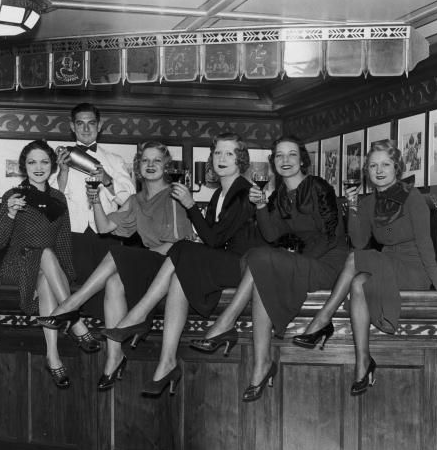 There will be girls, gams, and gin at Cole's. If you’ve anxiously awaited the return of Xmas-ornament- cufflink -‘n-earring-season, Ms. Go Go advises that you take two aspirin and call when you’ve come to your senses. The first weekend of December is all about the twinkletoes and the ho ho ho(ooch). Light it up, Go Go’ers…light it up. Basically, high school would have been so much better with cocktails. And Ms. Go Go isn’t talking about the spiked Kool-Aid that passed for punch at your “One Starry Night” prom, either. Tonight, bringing in December while bringing you the best teen dance do-over ever, HM Soundsystem & Friends presents the “Broader Than Broadway” Winter Formal at the Forties-fabulous Broadway Bar. There will be roaming photographers. 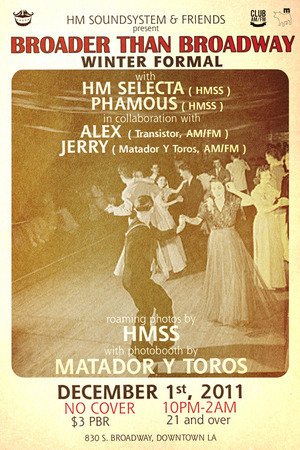 There will be a Matadors y Toros photo booth. And while Ms. Go Go will take a Manhattan, thank you very much, there will be $3 Pabst Blue Ribbons. Best of all? A Winter Formal King and Queen will be crowned. You always like to kick off the holidays in a shiny crown. 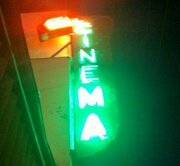 If your season is all about the songs, then Come All Ye Faithful Americana fans to the Cinema Bar Christmas Party this Sunday where two dozen performers of the country, blues, and roots persuasion will soothe your jangled spirits after December’s first hellish weekend of holiday shopping. Damn the Bop-it craze that’s sweeping the nation. The oldest bar in Culver City delivers old school dive-iness, a touch of the tropics (Ok, a fish tank on the patio…but still), and a heavy hand of Christmas any-time-of-year cheer for a relax-into-it start to the season. ‘You may not get all carols, all night long but really, how many times can you hear “pa rum pa pa pum” before you stick yourself in the eye with a candy cane? Given the hoopla, you’d think Christmas was the Big Deal holiday in December. Fans of the grape and the grain — not to mention molasses, the potato, and the juniper berry — know the real holiday to celebrate is Repeal Day on December 5 when Prohibition was…prohibited. 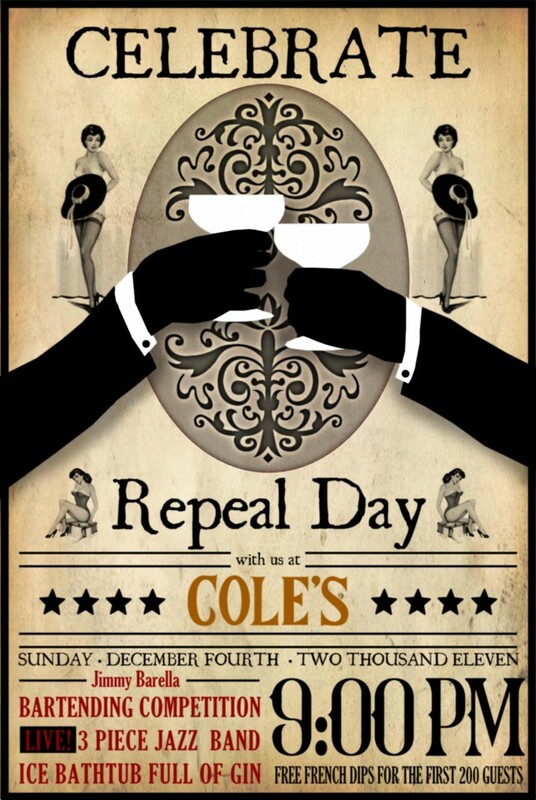 On Sunday, December 4th, Cole’s combines their 103rd birthday bash with a day-early commemorative countdown to the 78th anniversary of Boozers Rejoice! Day, when sanity reigned once more and whiskey flowed like wine. Get au courant on Boardwalk Empire to remind yourself of just how lucky you are, then skedaddle downtown on the early side. The shindig starts at 9pm and the first 200 lucky stiffs get free French Dip sammies to fortify themselves for the cocktail competition, the three-piece jazz band, and most importantly, the ice bathtub full of gin. Although really, how much fortifying do you want against gin, anyway? Previous Post Laugh, Out-Of-Town Relatives, Laugh!